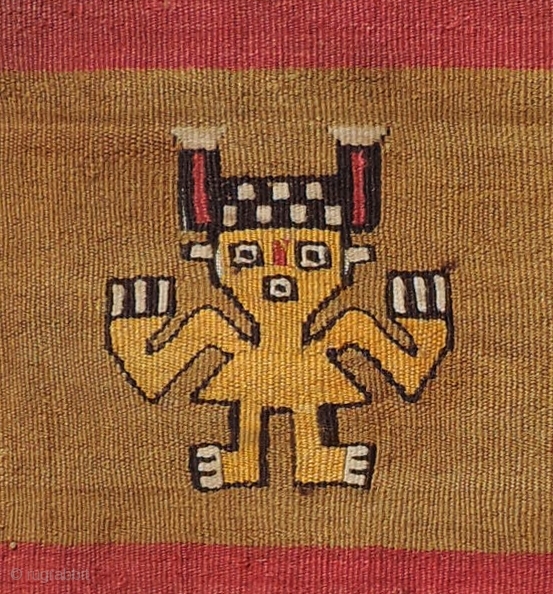 Standing figure detail from pre-Columbian tapestry. 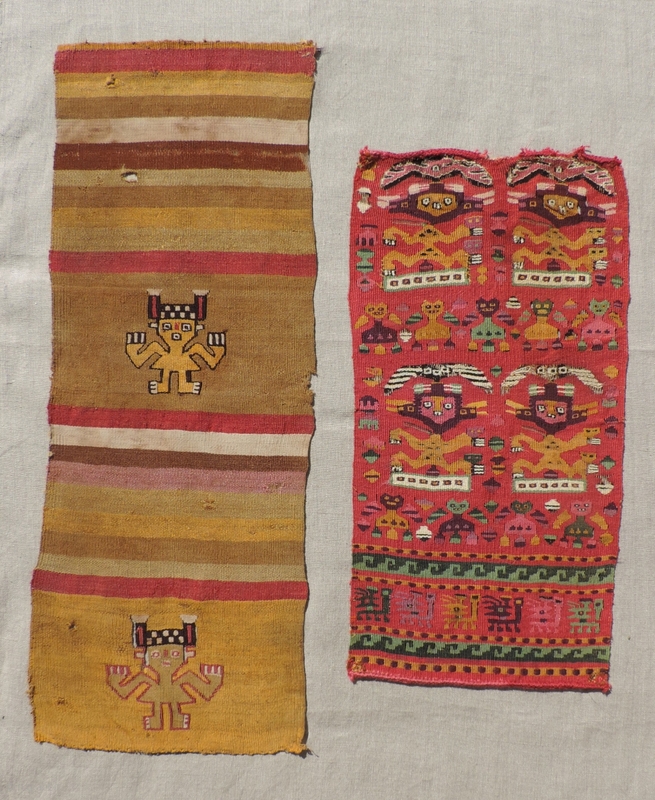 Very finely woven Chancay panel with strong, minimal design. Almost like tissue paper. Colors are intense and side selvedges intact. Good size. 20.5 x 7.75 inches. a.d. 1000 - 1400. Clean and ready for mounting. 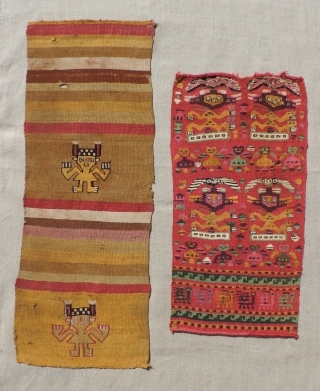 Previously posted Chimu panel shown for scale. Both these pieces are excellent.